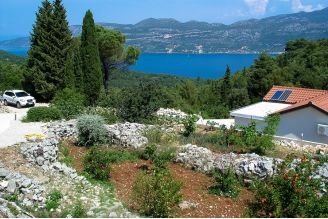 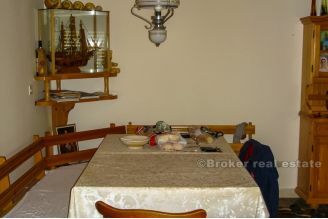 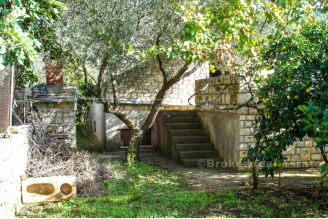 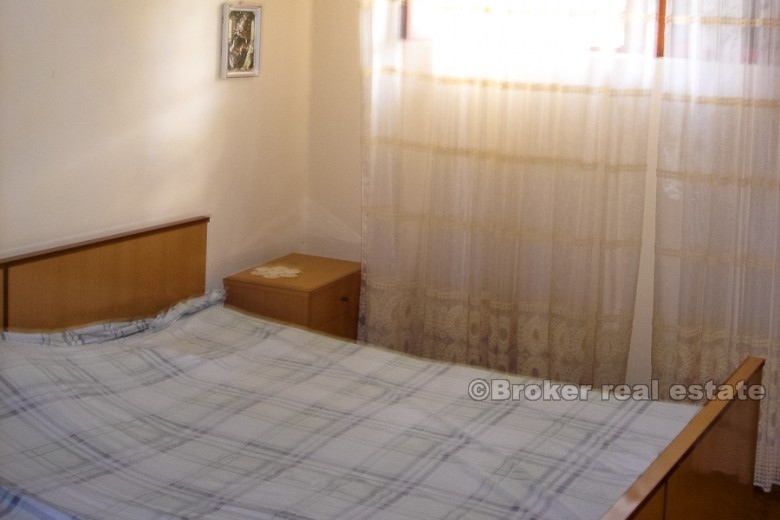 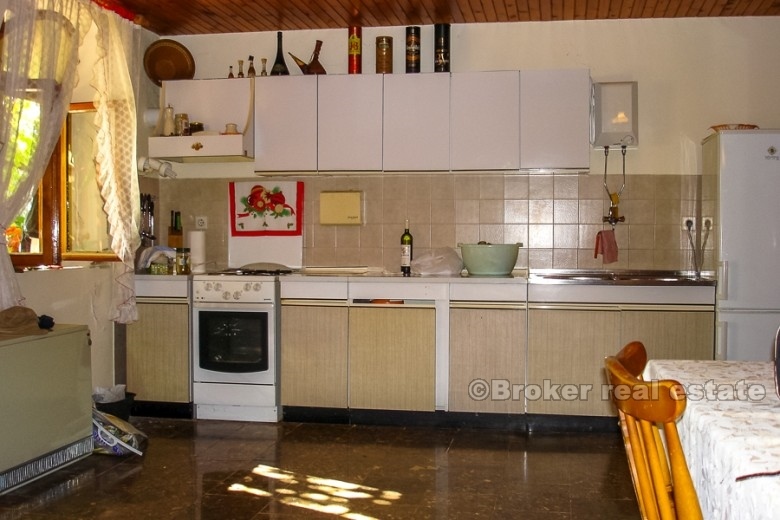 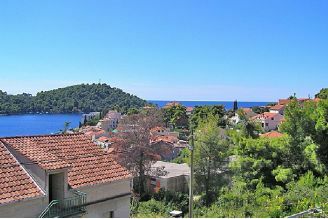 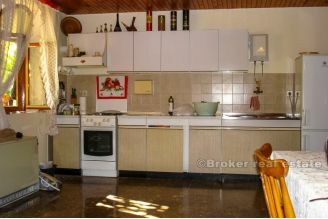 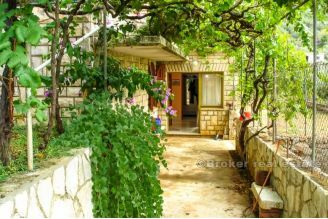 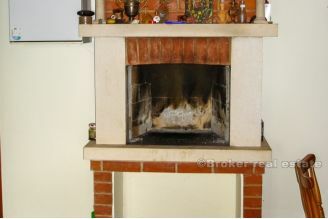 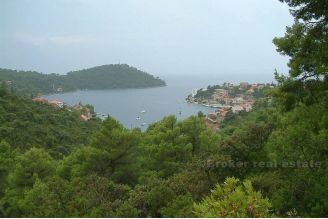 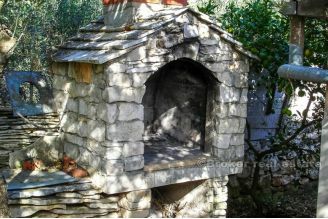 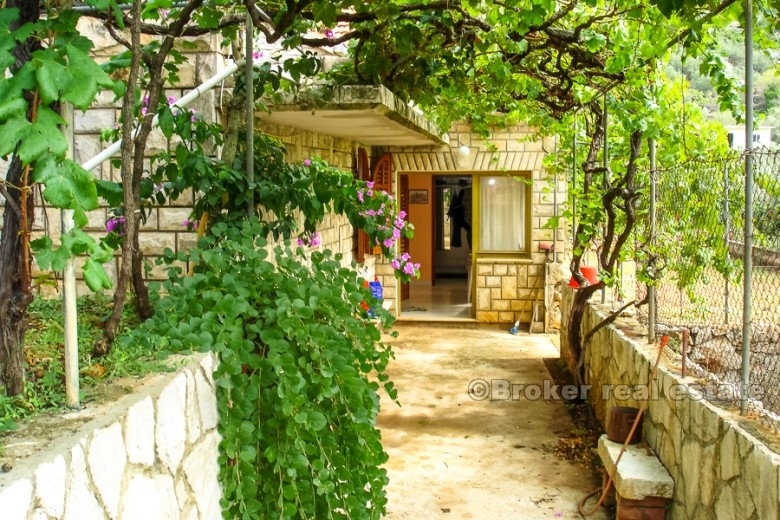 Detached house located in a quiet and beautiful location on the island of Korcula, 450 m away from the sea. 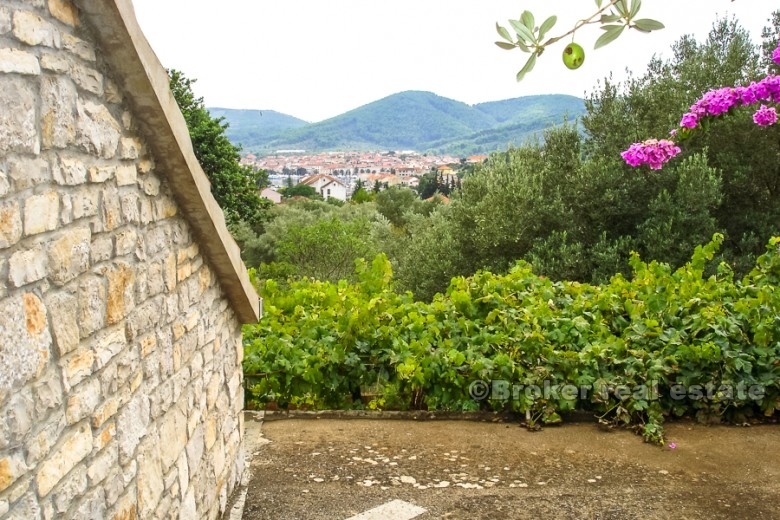 Because of its distance from the city center and just a few houses in the neighborhood, this property offers an excellent opportunity for a peaceful and pleasant family vacation. 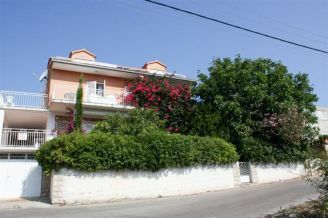 The house is spread over two floors - ground floor and high attic, with a total of 120 m2 of living space. 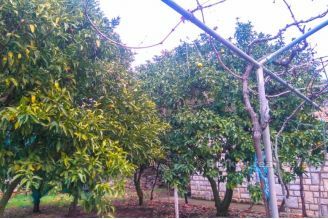 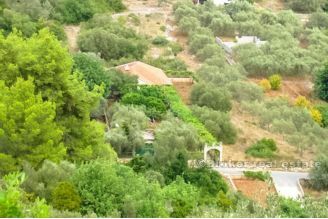 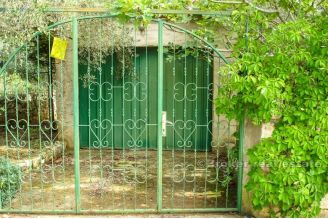 It is located on a plot of 1004 m2 with direct access from the road, enriched with a beautiful green garden, olive trees and vineyards that provides a pleasant shade on hot summer days. 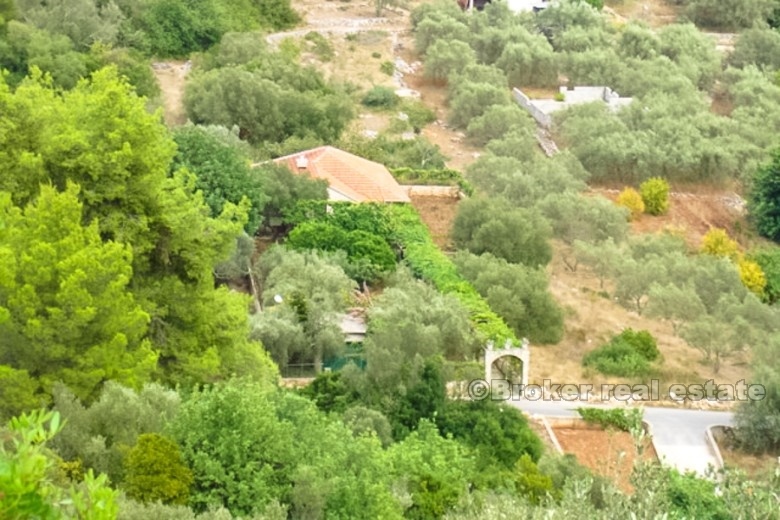 The land is surrounded by old olive trees and carobs, and part of the facade of the house is covered with stone, which contributes greatly to the Mediterranean ambiance. 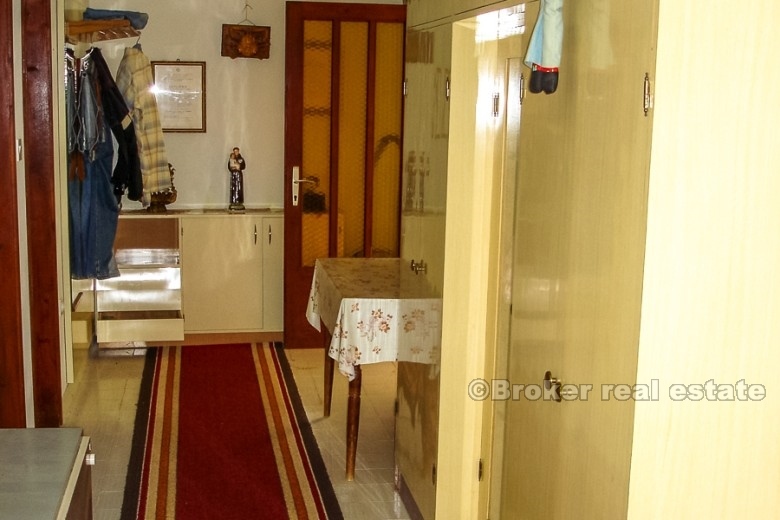 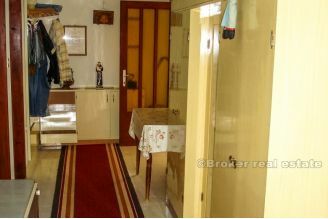 The property consists of three bedrooms, kitchen and dining room, living room, storage room, bathroom and toilet. 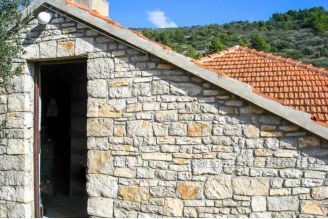 In front is the veranda, ideal for relaxation, as well as a covered parking place and barbecue. The property is connected to the city water supply and electricity, and also has a rainwater storage. 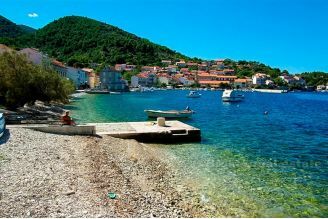 The moderate climate, nice landscapes, clean air and crystal clear sea provide everything you need for a pleasant and peaceful vacation.